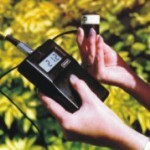 Skye Instruments offer a light sensor and meter for use in assessing and measuring the output of solar panels. Our sensors are individually calibrated and the calibration is directly traceable to National Standards. We can supply standalone hand-held systems, logging systems, or sensors that can directly connect to PLCs, etc.